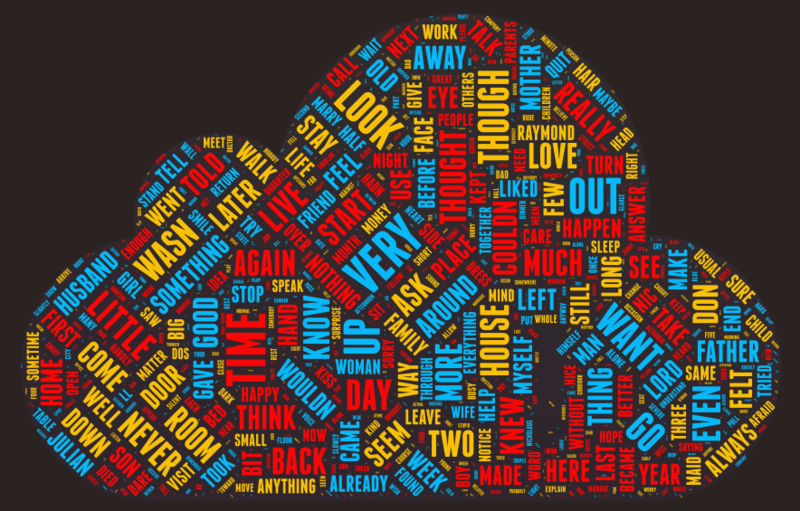 Here are the wordclouds I’ve made from the trilogy’s three volumes. 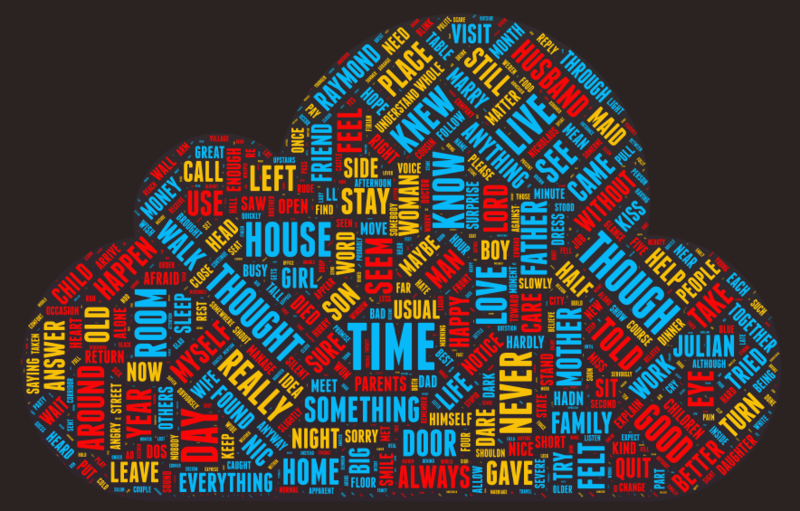 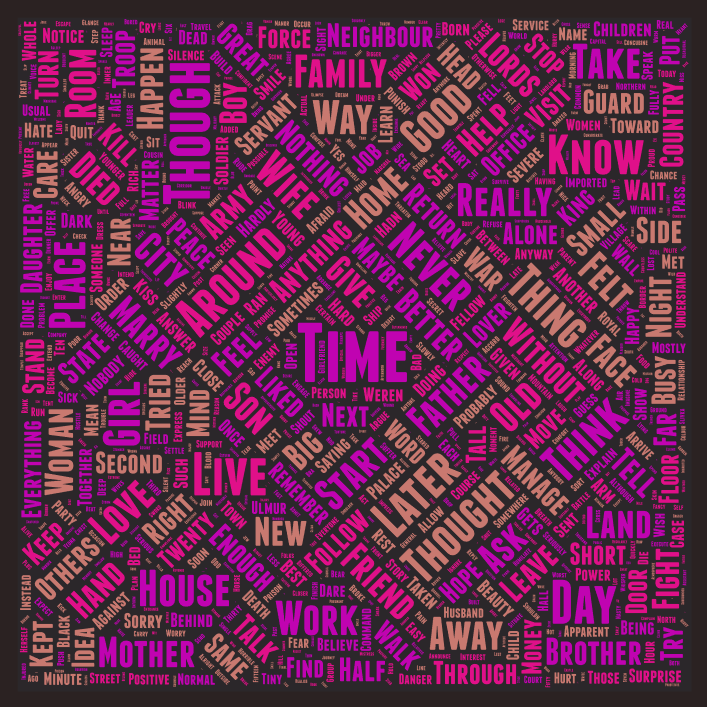 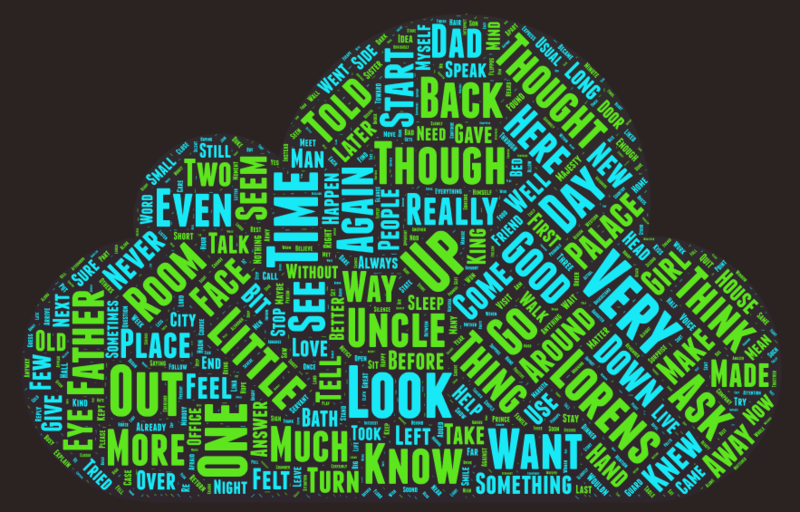 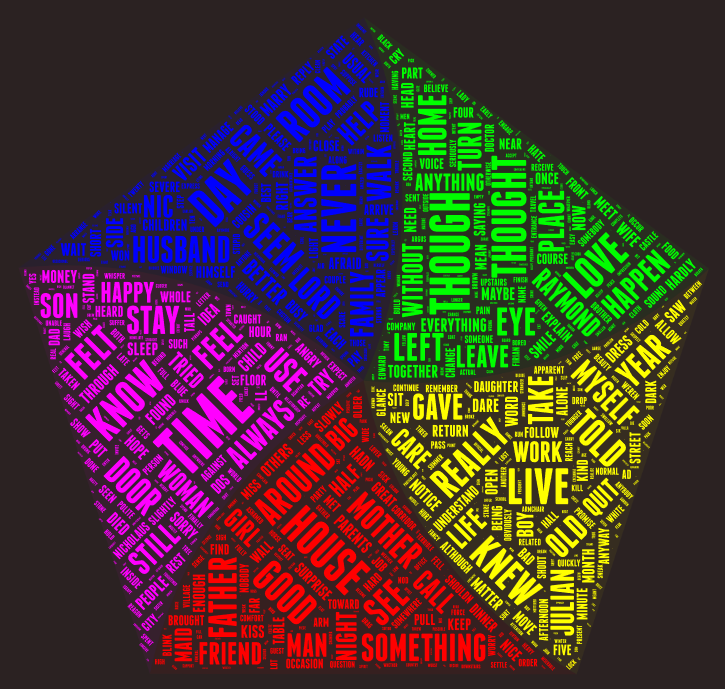 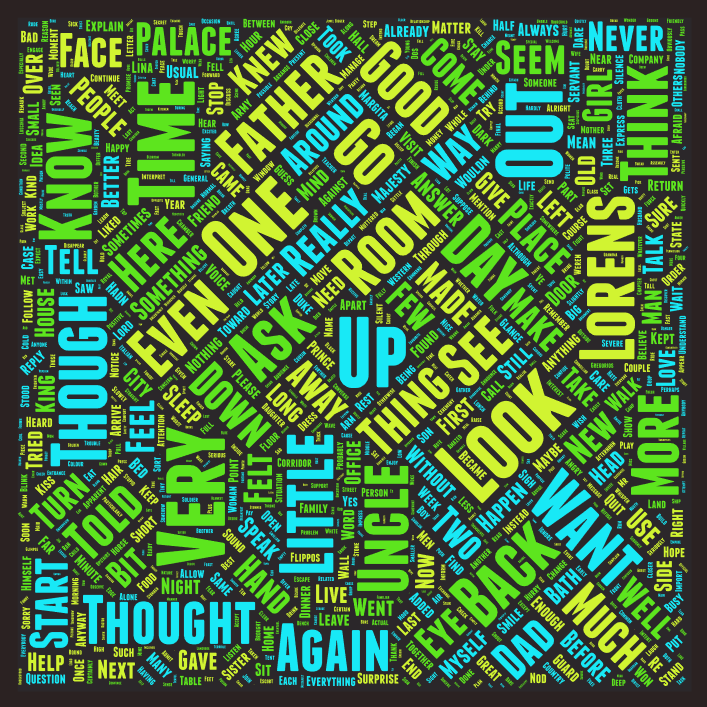 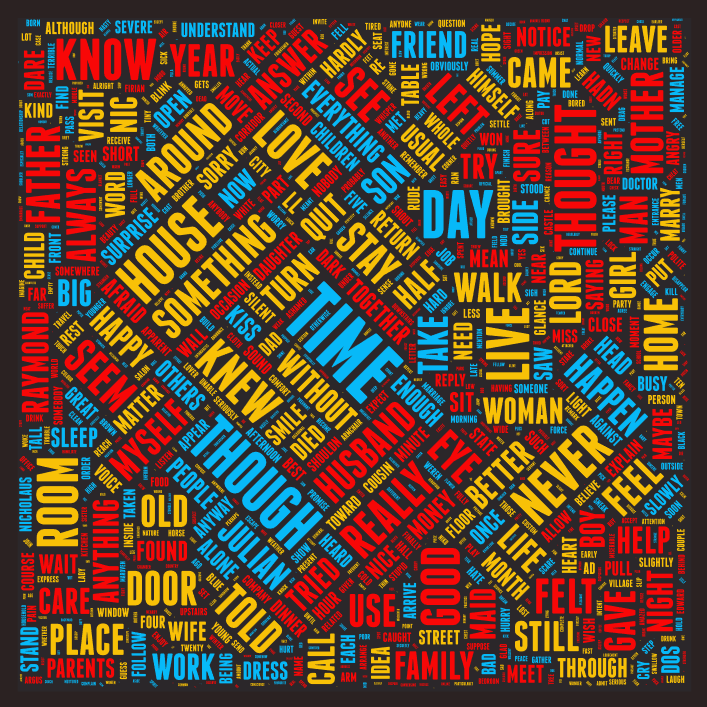 Wordcloud is a graphical representation of word frequency in a certain text: frequent words are bigger and less frequent ones are smaller in size. 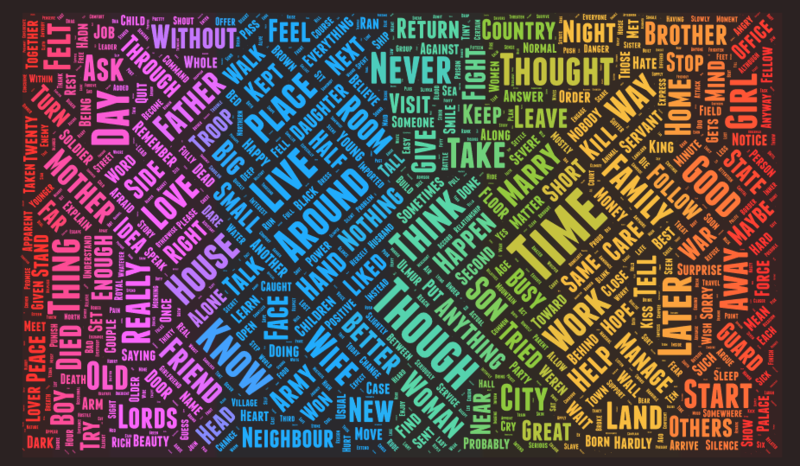 Colour are only implemented to make the words easier to distuingish. 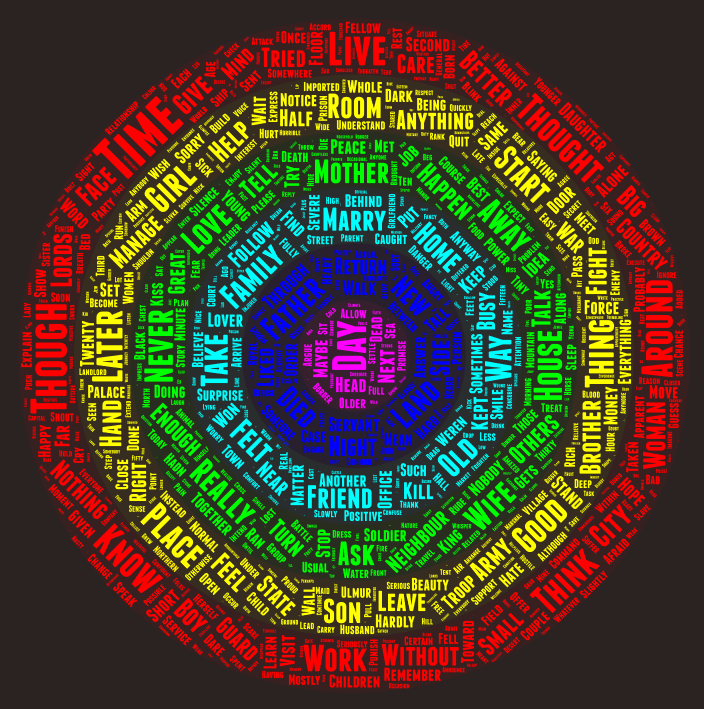 Rectangular rainbow cloud from the text of Protector I.
Circular rainbow cloud from the text of Protector I.
Beehive rainbow cloud from the text of Protector I.